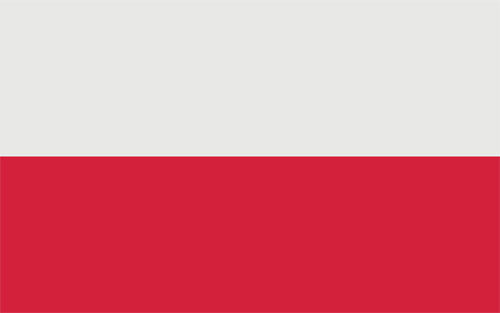 The Polish National Flag has a white bar on top and a red bar on the bottom. Their national colours are red and white which represents the Polish Motherland. 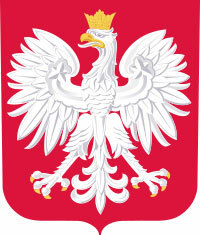 The Polish White Eagle is the official national emblem of the Polish homeland. The city of Warsaw is the capital city. The Polish homeland of Poland Europe joined Lithuania and became the Polish-Lithuanian Commonwealth under the Constitution of May 3 1791. In 1795 Poland lost their status as a country where they were partitioned the Russian Empire, the Kingdom of Prussia and Habsburg Austria, which divided up the Commonwealth lands among themselves progressively in the process of territorial seizures. For approx. 123 years, the Country of Poland did not exist. In 1918, at the end of the First World War, the Country was restored. The Wilno Polish came to Canada in 1864 from Poland for free land. The Polish received news in their homeland of free land from the Canadian land agents. Canada encouraged European to come and develop this part of Renfrew County. The Polish settled in and around the village of Wilno and spread to Barry’s Bay and Round Lake Centre. The Polish homeland of Poland at the time of immigration was under Austrian, Russian and Prussian German rule. Most of the Poles that settled Wilno came from Austrian occupied Galicia area of Poland and some came from Poznan area which was under Prussian German rule. Poland today has regained its freedom and is independent today. The first generation of Poles, brought with them their native Polish language, but lost it to the Kashubs through assimilation in the second generation. Because the Kashubs made up ninety percent of the 1800s emigration, the Poles could not hold onto their language. None of the descendants of the first Poles speak their native tongue today but have adopted the Kashubian language. However, the Polish language was, and is still, used in our church. What is very ironic is that the descendents of the first Kashubs and Polish do not understand the language of the church. There was a second immigration of Poles after the Second World War who came to our area and they feel right at home in the Wilno church because it is their language that is used. Today, the status of the two Slavic languages is very clear. The Kashubian language will be lost in the next twenty five years and the only Slavic language you will hear in the Valley is the Polish language. This is because of the steady migration of Polish people from our Canadian cities. The Kashubs had a good run, but all good things must come to an end. Just like the first Polish immigrates lost their language to the Kashubian language in the 1800’s, so will the Kashubs loss their language to the Polish today. Here is a sample of some Polish words.